“Time is Money!” according to Mr Robson. Have you heard of Mr. Robson? If not, perhaps you may have heard him shout ‘Time is Money’ all the way from Uffculme. Class 11 and Class 12 had the privilege of meeting Mr Robson and his maid, Annie Armstrong, at Coldharbour Mill on Tuesday 13th November. 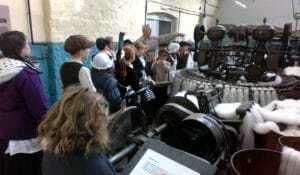 As part of our Victorian topic we ventured to one of the oldest woollen mills in the UK. It was here the children had a chance to wonder around the museum and witness first hand how crafts men and women historically made traditional textiles, beautiful knitting yarn and hand woven rugs. 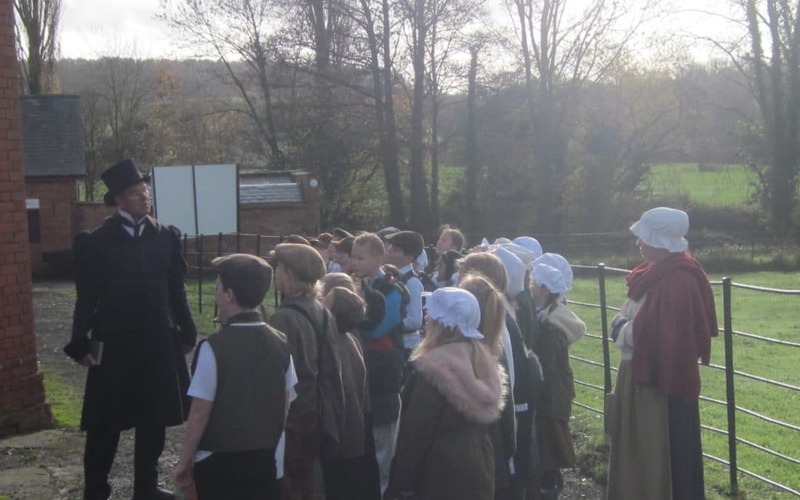 Following on from the tour of the museum – after some children enjoyed a typical Victorian lunch containing bread, cheese and an apple – the children were introduce to Mr. Robson, the foreman of the mill. Mr. Robson was searching for young, fit and clean children to work at the mill for a few shillings a week. The children were under strict instructions to follow 5 rules at all times. They were: never leave your post; no sitting down or leaning against the wall, cleanliness, show respect, and no talking. 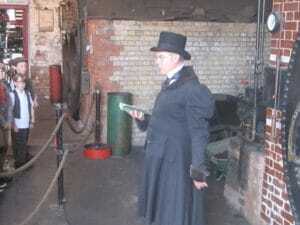 Because of this trip, children in Year 5 had an opportunity to ‘feel’ what it was like in the Victorian times. Everyone had a wonderful, including the adults!